When potential customers visit your lot to purchase a vehicle, you can offer them something other dealerships cannot – additional security. All it takes is installing the 911SafeTrack S4. If your customers have teenage drivers in the home – they’ll be able to check on the vehicle anytime and know their teenagers are safe. If your customers are worried about their elderly parents driving alone, the S4 will allow your customers to know they have arrived home safely. Your customers will not have to worry about their new vehicles. If there is unauthorized movement or the vehicle’s alarm is triggered, the S4 will send your customer an alarm notification text including the time, date, location, speed, and direction of the car. Your customer can then call his/her S4 device, which will speak and tell the customer to press # to call the police. Once dialed, the nearest 911 operator to the vehicle will be called, and when they answer, the customer can explain the situation and receive immediate help. No call center is used. This saves your customer time and money, as help will arrive faster. LoJack® doesn’t do this. OnStar® doesn’t do this. No other anti-theft system can do this. The S4 can allow your customers to use their phones to remotely disable the vehicle starter. This prevents the thief from restarting the car once the thief turns it off. The S4 can rotate between vehicles. The S4 can be installed on any type of vehicle that has a battery and location where the unit will not be exposed to the elements. If your customer is buying a car from you, but has also has a motorcycle, work truck, RV, etc., they can easily rotate between the vehicles with a Cable-Kit-T. There are no activation fees, no contracts, and no cancellation fees. There is also always a 30 day risk free guarantee. Customer information is always safe with their unique, secret PIN. Privacy will also never be breached as the vehicle’s location is texted directly to the customer’s phone from the S4 device and is never stored or sent using the internet. 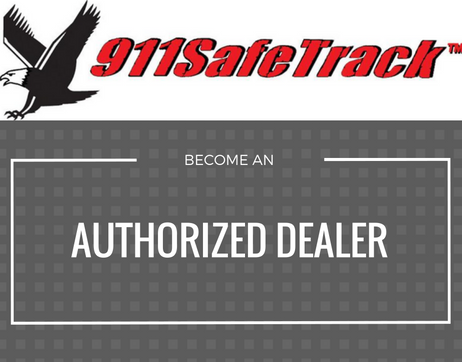 For more information on the S4, contact us at 877-427-7294 or customersupport@911SafeTrack.com. We would love to hear from you.